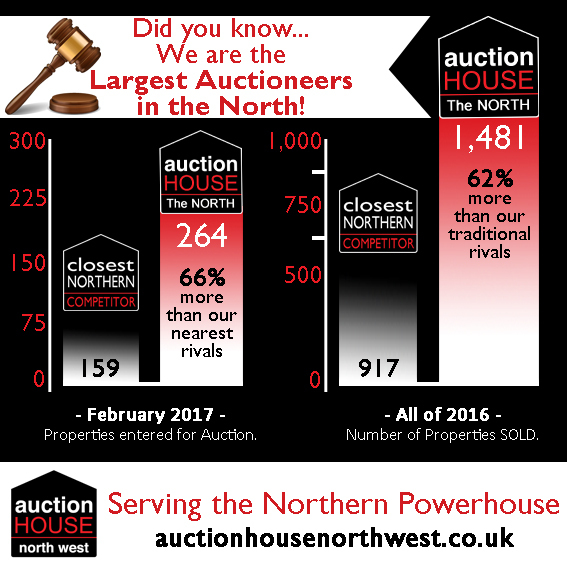 Home Latest News Auctions Fact: We’re the Largest Auctioneers in the North! The 2nd February’s Auction proved to be a fantastic event for Auction House North West with over 400 bidders in attendance, attracted by a hugely varied range of Commercial and Residential Lots with Guides ranging from NIL reserve to £425,000. February Auction saw 71 lots offered – 82% Success Rate – £3,528,799 Raised. Free Entry for our 23rd March Auction. Strong bidding, combined with their innovative marketing package saw 82% of properties sold and raising just under £3,528,799.00. A NEW Trade Floor delivers a buzz to the Auction. 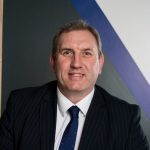 The February Auction also saw the birth of the Auction House North West ‘Trade Floor’, delivering supporting property services for their bidders. 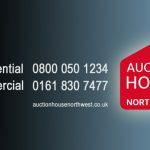 Auction House North West Clients can take great comfort that the Trade Floor businesses have been established through longstanding relationships, allowing specialist opinions to be discussed in a relaxed and approachable environment. Property Management, Letting Agents, Auction Finance, Architects, Insurance, Solicitors, Property Security, Free Property Valuations. The momentum is building and enthusiasm is taking hold with the Auction House North West ‘Trade Floor’, as talks are now in place for each trade stand to take it in turns to present a 10-20 minute seminar and Q+A session, prior to Auction. More details to follow. Auction Goes Live with Facebook. Auction House North West is now streaming their Auctions Live from their Facebook account. 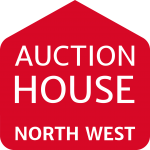 Be sure to like our Auction House North West page to receive access to their free live stream to view their Auctions from the comfort of your chair.